Bonne Fresh Clean are professionally trained leather specialists, we clean all types of leather furniture. Call us for first class leather cleaning, we cover all areas of Bristol and South Gloucestershire. We also repair scratches, rips and scuffs so call us for a free no obligation appraisal of your leather furniture. 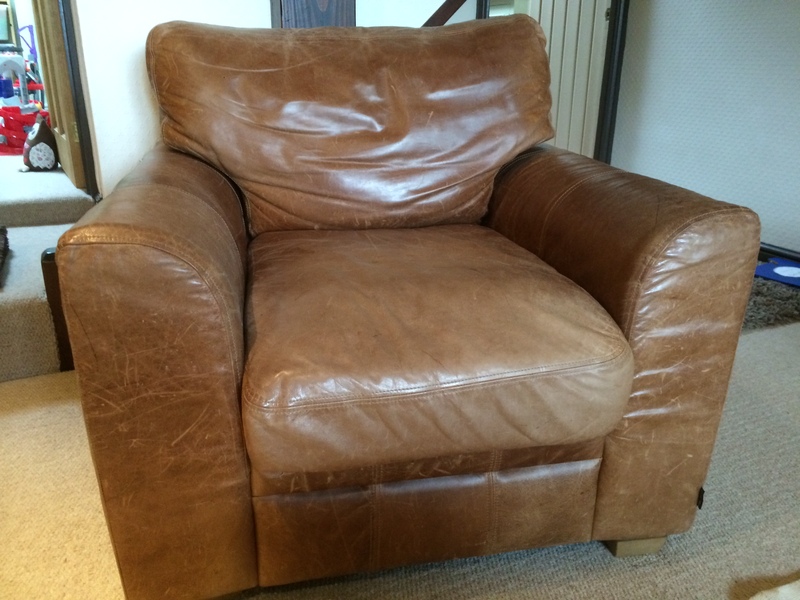 This aniline leather chair had become shiny and scratched with use. Using the best products available in the UK Bonne Fresh Clean bought the chair back to life. By professionally cleaning and protecting the leather we restored its appearance and the suppleness of the leather. Leather furniture is a big investment in your home, having it professionally cleaned on a regular basis will help you to keep your furniture looking good for years to come! Regular professional cleaning will also help to keep your leather supple. The protector we apply as part of the cleaning process will give your leather a barrier against dirt and grease penetration and help to prevent head grease and dye transfer from dark clothing or jeans developing. Bonne Fresh Clean offer professional leather cleaning of all types of leather furniture including sofas, chairs, dining chairs and more. 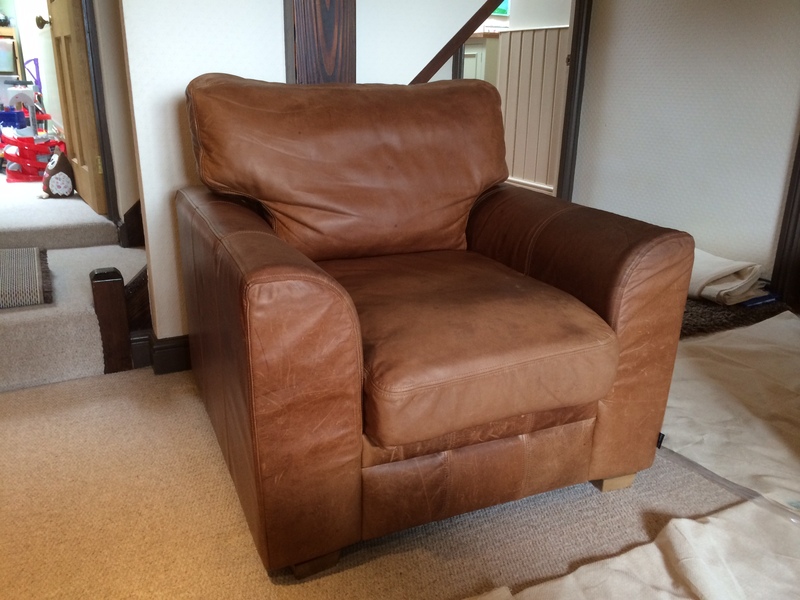 For advice on how to care for your leather furniture or a free no obligation quotation call Karen on 01454 436001 / 07774 908410. You can also get in touch by emailing us at karen@bonnefreshclean.co.uk or use the contact us using the form on our website. We are your local, friendly, professional leather cleaning & restoration specialist covering all areas of Bristol, Bath, Wiltshire, Somerset, Gloucestershire and South Gloucestershire. If we can be of service to you please get in touch, we guarantee you superb cleaning and first class service at a fair price. If you are looking for professional leather cleaning or need a scratch or rip repaired please get in touch today!